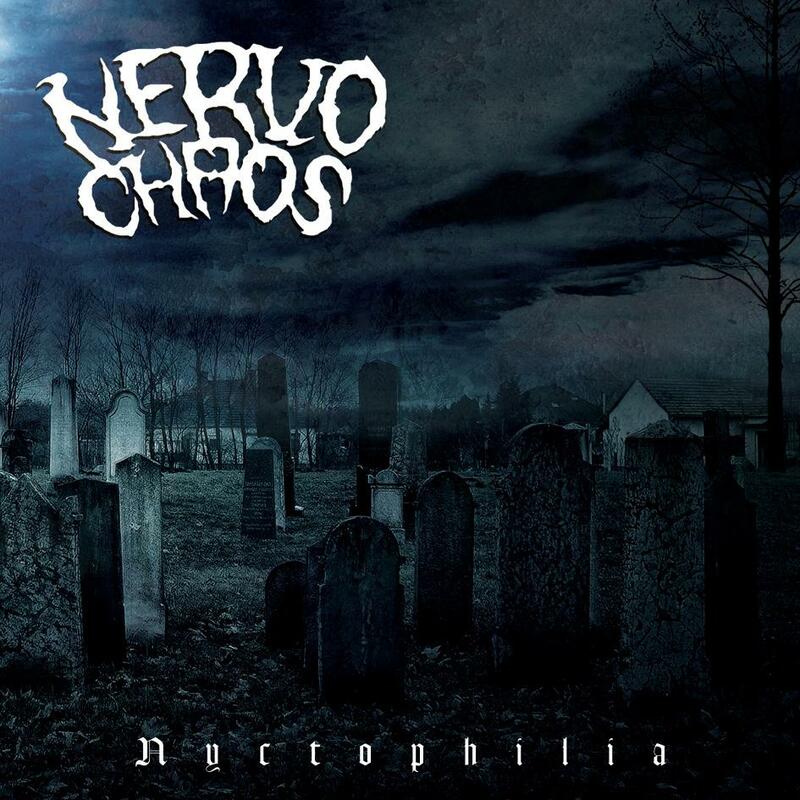 “Nyctophilia” is the seventh studio album by Nervochaos and will be unleashed on April 7th, 2017 through Cogumelo (in Brazil) / Greyhaze (in USA/Europe) and distributed by Plastic Head (in Europe). With an unrelenting urge for utter darkness, it marks Nervochaos’ most morbid and intense release to date, where death-inhaling tracks like “Moloch Rise” or “Ad Maiorem Satanae Gloriam” arise from six feet under and showcase an eclectic mix of all that characterizes the band – 13 new tracks of 80s-fueled blackened extreme music, mercilessly executed in Nervochaos’ trademarks: raw, aggressive and deadly. For the first time, the band’s new line up – featuring Lauro ‘Nightrealm’, Cherry, Thiago ‘Anduscias’ and the original founding member Edu Lane – recorded the album outside of Brazil, spending a month at Alpha Omega Studio in Como, Italy, alongside producer Alex Azzali, who is also responsible for mix and master. The album artwork was created by Alcides Burn, a talented Brazilian artist that has worked with acts such as Blood Red Throne, Acheron or Iconoclasm. The last three tombstones on the graveyard of “Nyctophilia” belong to Sebastian L. of Into Darkness and Leandro P. of R.N.S. who contributed guest vocals and Bolverk of Ragnarök who created the guitar riffs of ‘Vampiric Cannibal Goddess’.